EarlyComputers: The Southwest Technical Products Corporation AC-30/6800 flyer. 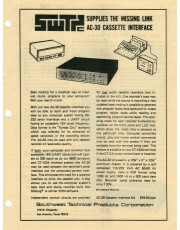 Flyer for Southwest Technical Products Corporation showing their AC-30 cassette interface on the front and their 6800 computer system on the back. Three-hole punched, margins suggest that it was printed off-center for that intention. Long before there were memory sticks or hard drives or floppies you had to key in your programs by hand. Of course, if you were lucky, you could store your programs on a cassette tape. As the ad says, "Been looking for a practical way to input and dump programs to your computer? Well your search is over." 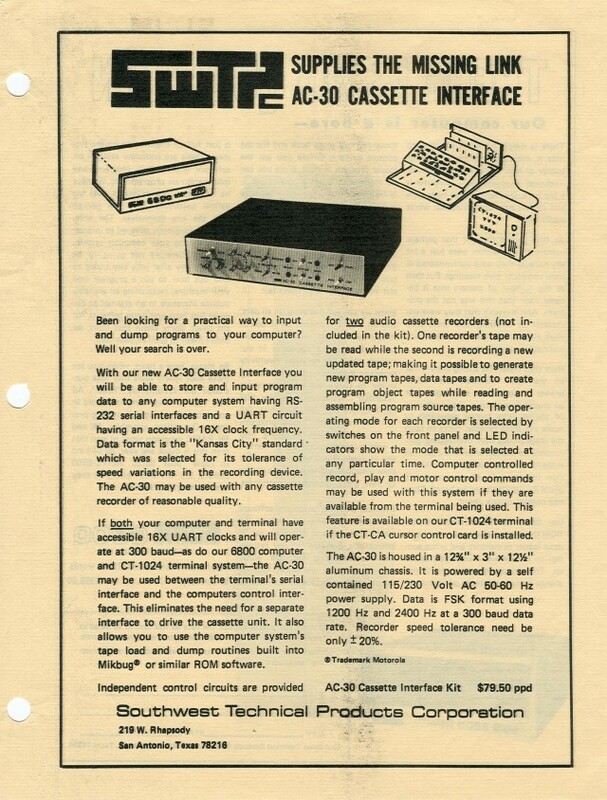 The AC-30 let you control two audio cassette recorders independently...if you were wealthy enough to have splurged for two audio cassette recorders! 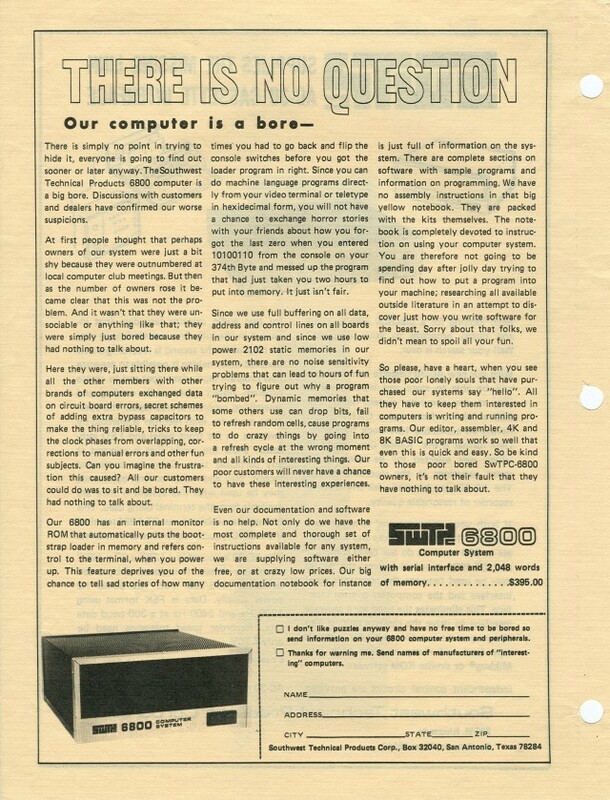 The reverse side of the flyer is an ad for the 6800 computer and uses humour to describe the experience of owning an SWTPC 6800 computer.